President Nancy Johnson is a member of Rejoice! Lutheran Church in Omaha, Nebraska. She is active in Rejoice! Women, plays in a handbell choir, attends several Faith/Bible study groups/classes, counts offering monthly, serves communion, helps with “Spirit Matters” (a weekly program for adults with special abilities), helps in preparation and serving of Wednesday night meals, serves on the altar guild, as well as attends weekly service. Nancy has attended the last two Triennial Conventions; she was the 2014 Triennial Gathering Promoter for NSWO. She is a Process Builder leading Listening Events for the Women and Justice social statement which is being developed by the ELCA. Nancy keeps busy with Metro East Conference events as well as attends Autumn Renewals and Winter Retreat held by the NSWO. She is presently the treasurer of the Lutheran Women of Omaha, NSWO Database Coordinator Appointee, and NSWO treasurer (2007-2011). Nancy is also active in volunteering at many places such as Open Door Mission, Film Stream, Omaha Performing Arts (Holland & Orpheum), Omaha Community Playhouse. Including serving on the board of Lutheran Service Corp/Lutheran Volunteer Corp and the Thrivent North Central Douglas Sarpy Chapter and the current president of Chapter EK of P.E.O. along with past National President of Kappa Kappa Iota, a national organization of educators; a retired elementary teacher who still loves to help children and adults. Nancy states she is caring and willing to serve the Lord in anyway needed. Vice President Elysia McGill is a member of St. Paul’s Evangelical Lutheran Church in Falls City, where she serves as an assistant minister, choir member, Sunday school leader, worship leader and liturgist. She is an active member of her Café group and is serving as the vice president of the women’s organization at St. Paul’s. Elysia was the NSWO Southeast Board Representative, 2013-2015. She has served as an adult chaperone to the National Youth Gathering in New Orleans, attended the Triennial Gathering in Charlotte, participated in many women’s retreats, and helps out in her church any time she can. Elysia is married to Matt and they have two daughters, Madyson and Pyper. She is an Elementary Music Teacher, helps with the HS Musical and this year will be the Faculty advisor for her daughter’s high school SADD Chapter. Elysia enjoys sharing her singing talents and sings in many area choirs. She is looking forward to serving and showing her daughters and other young women what BOLD women look like! Secretary Beth Meyer is a member of First Lutheran Church in Fremont. This is her second term as NSWO Secretary. She is active in her church women’s unit as Leadership Team Leader. She is also Chair of the Worship Team, Liturgist, choir member, volunteer receptionist, assists the minister in worship, and serves on a Funeral Team. Beth has served as Conference Coordinator and served on the planning team for Spring Gatherings, past President of the NSWO Board, Conference Coordinator Trainer, Board Conference Representative, and co-chair of the 2015 NSWO Convention Team. She has been a delegate to the Women of the ELCA Triennial Convention. She has attended seven Triennials and served as a member of the nominating committee for the 2014 Triennial Convention. She was selected as a CWO Triennial Gathering Promoter for the 2017 Triennial Gathering in Minneapolis, MN. Beth donates blood for the Red Cross and has served in its Canteen, donates platelets, and serves lunches to the workers for Habitat for Humanity. Treasurer Sandy Terry is a fourth generation member of Salem Lutheran Church in Fremont. Sandy serves as the Companion Synod Appointee to the NSWO Board and has traveled to the Northern Diocese of Tanzania four times. 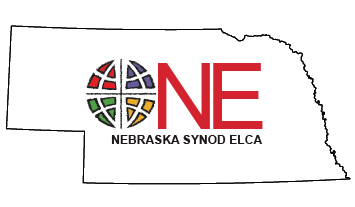 She has served on the Midlands Conference Planning and Nominating Committee; Worship Leader at the 2013 NSWO Convention; Workshop Presenter; and is a Nebraska Synod Certified PMA. Sandy currently serves as Director of Children’s Ministry at Salem; WELCA Unit President, a member of Ruth Circle, Sunday School teacher, member of Christian Education Committee, co-chair of the Costa Rica Mission Task Force, leads a weekly Bible Study and serves as a Stephen Minister. Sandy currently is on the Nebraska Synod’s Global Mission Committee and is a member of the Tanzania Roundtable. She is married to Weldon, who is retired, and they have two grown children. Charissa, married to Scott Crawford, who live in Omaha and William who lives in Fremont. Sandy currently works part-time as the receptionist at the Nebraska Synod office.